Gosh it’s the end of February already, and we’re blown away (no pun intended, Doris!) by the sheer volume of enquiries we have had this month… It continues to be a delight to arrange your wine tours, and we are working hard to extend our offerings across Europe so keep up do date with all of our latest news and product launches on Facebook and Twitter! 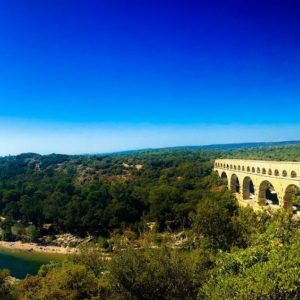 We’ve also secured a fantastic special offer in Avignon for April travel only, so if you’re looking for a short break to escape the dull and dreary UK weather, this could be the perfect trip for you! 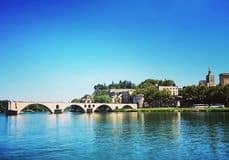 Enjoy four days in Avignon – just £329 per person! Based at the 4* Avignon Grand Hotel, this four day/three night special offer gives you the opportunity to discover the delights of the city as well as the wines of Chateauneuf-du-Pape! 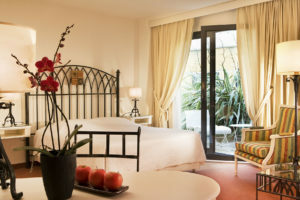 After settling into a Superior room at this modern hotel, your first afternoon and evening will be free to head out and explore the delights of Avignon independently; the hotel is in a great location, within walking distance of the famed Palais des Papes and Pont d’Avignon, so taking the time to do some sightseeing on your trip is a must! During your three night stay, we will arrange for two half day tours; the first will be a three hour walking tour through the city centre, discovering the gourmet side of Avignon like a local! You’ll be taken to the oldest bakery in town and the best artisan chocolate maker amongst others, and at each stop along the way you’ll be welcomed to taste the local produce! The tour will conclude with a wine tasting in a wine bar. Your second half day tour will take you to explore the vineyards surrounding Avignon, and more specifically the Chateauneuf-du-Pape appellation; you’ll be accompanied by a specialist driver/guide who will explain all there is to know about the terroir and wine-making process, and will be taken to visit a winery where you will enjoy a full tour and tastings. The price of this package is just £329 per person, based on 2 people sharing a double Superior room, and valid on travel in April 2017. Please quote NEWSLETTER27 when booking. Come quickly, I’m tasting *Michelin* Stars! 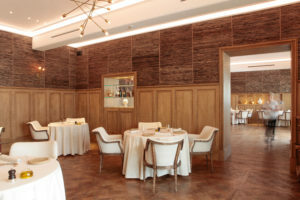 Chateau de Berne – a 5* haven of serenity in Provence – received their first Michelin star in their gastronomic restaurant! Our Hidden Gem break based here starts at just £424 per person and is available year round excluding January and February. 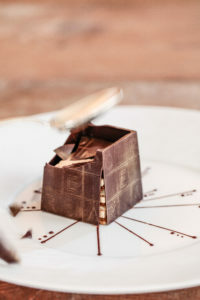 Bordeaux were also front-runners in the guide, with two stars awarded to no less than three restaurants! La Grande Maison was the first, and you can enjoy a five course wine pairing dinner here on our Hidden Gem Chateau Pape Clement package, starting at £996 per person. Also in Bordeaux city centre, Le Pressoir d’Argent – headed by celebrated Chef Gordon Ramsay – at 5* Intercontinental, were awarded a double star rating! Our Exclusive Bordeaux package starting at just £897 per person includes a stay at this stunning 5* hotel, as well as the opportunity to dine in this phenomenal restaurant. Finally, heading out to Saint-Emilion, we were pleased to see Hostellerie de Plaisance received two stars, and you can taste stars here, enjoying a three course wine tasting dinner on our Exclusive Saint Emilion break – prices start at £793 per person. As always, please don’t hesitate to give us a call on +44(0) 1920 46 86 66 or email info@grapeescapes.net for more information or to book your trip.